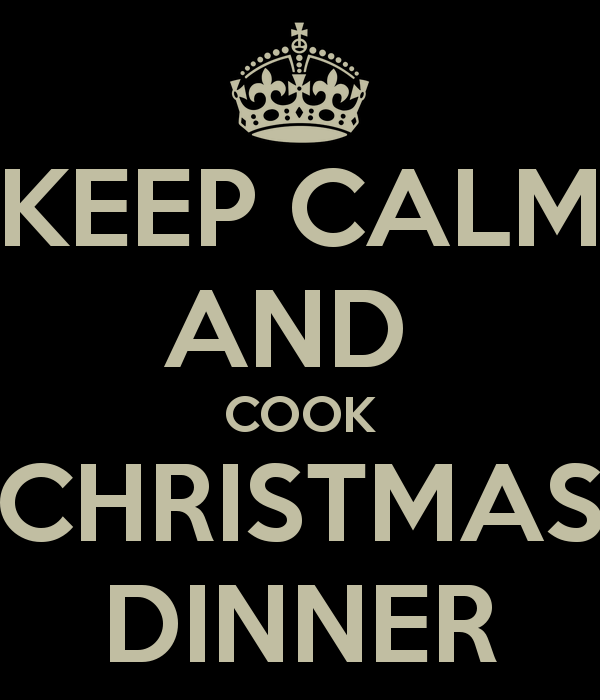 For around 90% of people the thought of Christmas lunch is a mouthwatering, pleasurable daydream. But for the other 10% – ie The Designated Cooks – it can be one of absolute dread. Composing a twelve piece dish for more people than you can count is a sure fire way of guaranteeing sleepless nights and weeks of stress! Unless of course, you’re Mary Berry! Will I get it out in time? Will it all be hot? I feel your pain, believe me. These are not just stresses for you; I have the same worries every service and they are especially high on Christmas Day. At least your guests aren’t paying! Let me hazard a guess at your day…. You manage to get the final plate delivered to the table before sinking into your own seat. Facing a plate of grub which is quite frankly twice the size of anything you have eaten all year, you are so fed up with the sight of food you can’t quite muster the appetite to dig in. However, your family and friends are not for holding back and within 6-7 minutes its done! The turkey has been analysed, the sprouts have tested for texture, the roast tatties have had the nod of approval and thankfully, there were enough chipolatas and the bacon was suitably crispy. You get the applause you deserve, wipe the beads of sweat from your brow and hope it’s not your turn again for a very large number of years. And although you secretly love the applause, you just wish it could be easier. Am I right?! Here’s my top tips for making it through and getting a tasty turkey to the table with the least amount of stress. You see, Christmas day is your day too and you really should be doing the least amount of work possible so I say plan for Christmas Eve being the work day. Why get up at 6am with only 2 hours restless sleep to slog over a hot oven? This option may be hissed at by the purists but if you’re cooking for 10 people it’s a life saver. And I defy anyone to tell the difference unless you really, really want to carve at the table. The Bird: Cook it to perfection stress free, carve it, portion it onto an oven tray with a little butter painted on it, a sheet of cling film topped with a covering of tin foil. Make your gravy from the turkey juices and reserve the stuffing by placing in a fully secured tin foil package. Think of a bridie shape and ensure there are no gaps in the foil. The Trimmings & Sauces: Grill those pesky chipolatas, nice and easy, golden brown all over, cool them, then use the same tin foil package technique. Make your bread sauce, allow to cool, it will thicken, don’t worry you can sort it the next day. Make your own cranberry sauce, its so easy and talk about Brownie points! Its really just frozen cranberries, sugar, port and orange. The Veggies: Get a big pot of salted thoroughly boiling water and blanch your sprouts and carrots and whatever else you wish, refresh them in cold water, drain and dry. Using small tupaware take away type tubs with good fitting lids, indivually portion each persons vegetables and paint with butter and seal ready for microwaving in stack of 4 upright on medium power for 2 minutes on the day. If you are going the distance with sprouts and want them with the bacon, crumbs and lemon zest then make them but this time use the foil package technique for reheating. Finally peel the parsnips and cut into equal sized widges, not too big. Also peel the potatoes, quarter or half depending on the size and store in water. Soup: Make a small soup course, this a great idea to give your guests something to munch on pre-main course while you put the finishing touches together. Sort your fridge out and store all of the above in it, then go sort out your party outfit! Merry Christmas! The day has arrived and you are already thanking me because everything is in touching distance and you have actually slept quite well. Pop on the oven and place two trays in there. One is for roasting your potatoes and one is for your parsnips. Blanch the potatoes briefly in salted boiling water until the outside has softened but with solid centre. Drain them well and allow them to dry before you gently rub them together to fluff the outside up. Put the grill on a low heat. Place the potatoes in the hot baking tray. Pop the parsnips in their tray and season with salt and pepper. Remember to give both these and your tatties a ‘shoogle’ now and again to even colour. Get your turkey and vegetable portions out to room temperature. Heat your gravy, bread sauce (you will need a little more milk) and soup and place each of these in a thermos flask – the quality will not spoil and it saves precious space on your domestic hob. You can put the cranberry sauce on the table and be sure to tell everyone you made it! Place the foil packages with the stuffing, sprouts and chipolatas in the oven with 20 mins to go, which just leaves your turkey. Grill this on that low heat to warm through. Remember meat (especially turkey) should not be served piping hot as it will toughen and dry – you have the gravy to warm it sufficiently. Microwave the veggies and you are good to go! You did remember to warm the plates, right? Plate everything onto the plates. In my opinion, serving dishes are a nightmare when you’re struggling for space. 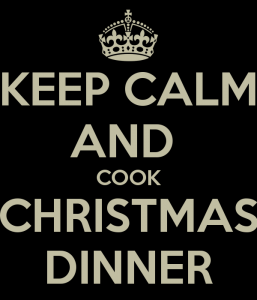 Then very calmly serve your main course to your guests, stress and sweat free, and most importantly with an appetite!